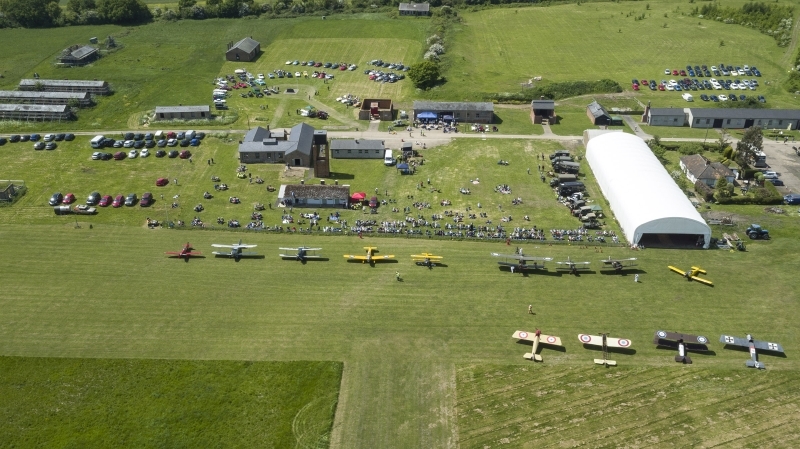 On Saturday 30th June, Stow Maries Great War Aerodrome celebrated Essex’s largest Armed Forces Day, when it joined forces with Colchester Garrison, and Maldon District Council. The day was celebrated by over 850 people and included a parade and march-past by cadets, veterans, and local civic groups. The Lord-Lieutenant of Essex, Mrs Jenny Tolhurst, took the salute as the Queen’s Representative, and the Reverend Mark Grant-Jones, Senior Chaplain of 16 Air Assault Brigade, hosted the service. The highlights of the day were signing of the Essex Armed Forces Covenant and the flag-raising ceremony. Local cadet contingents competed for the Ridley Trophy, named after Captain Claude Ridley who led the Stow Maries based 37 Squadron, Royal Flying Corps, aged just 19, when the Aerodrome opened in 1916. Display contingents included The Parachute Regiment, based at Colchester, the Band of The Army Air Corps, and the Essex Yeomanry band. The Bar, BBQ and Mess were also in full swing.